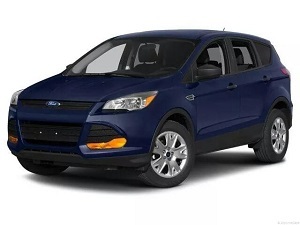 Angels of Care Pediatric Home Health will be giving away a brand new 2014 Ford Escape on Friday, July 11th to one of our employees. Angels of Care Pediatric Home Health employs more than 2,000 of the most skilled, dedicated and compassionate employees in the state of Texas and has been holding annual car giveaways for years as a way to give back to them for maintaining our standard of exceptional and quality care for our clients and their families. All employees (private duty nurses, skilled nurses, physical therapists, occupational therapists, speech therapists, attendants, case workers, office staff, etc.) who have been full-time for four months or more will be eligible to win. Angels of Care Pediatric Home Health will hold the drawing at the corporate headquarters in Sherman, Texas. However, with 13 branch office locations and staff across the entire state of Texas (including Abilene, Amarillo, Austin, Dallas, Fort Worth, Houston, Lubbock, San Angelo, San Antonio, Texarkana, Tyler, and Wichita Falls), employees will certainly not be required to be present to win and will be notified immediately if their name has been drawn.